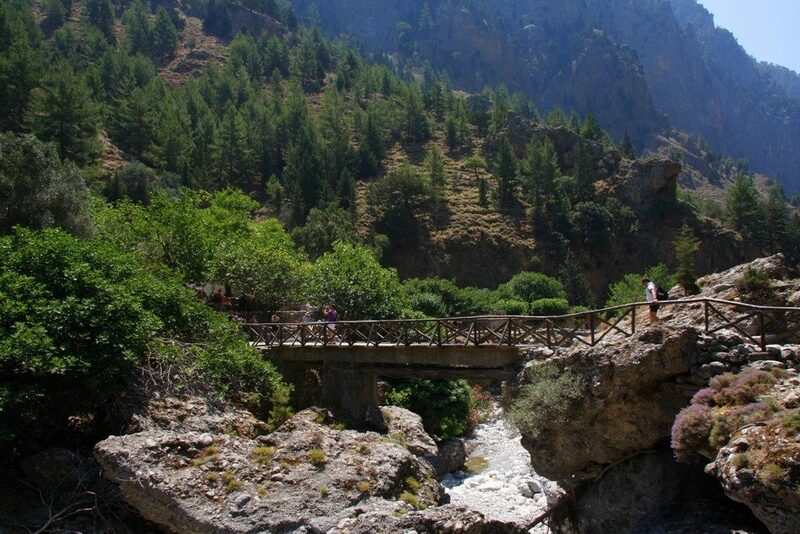 The Samaria Gorge is the longest trekking gorge in Europe and also the most famous of all. Thousands of tourists flock here daily in the summer season to walk from the top to the bottom. 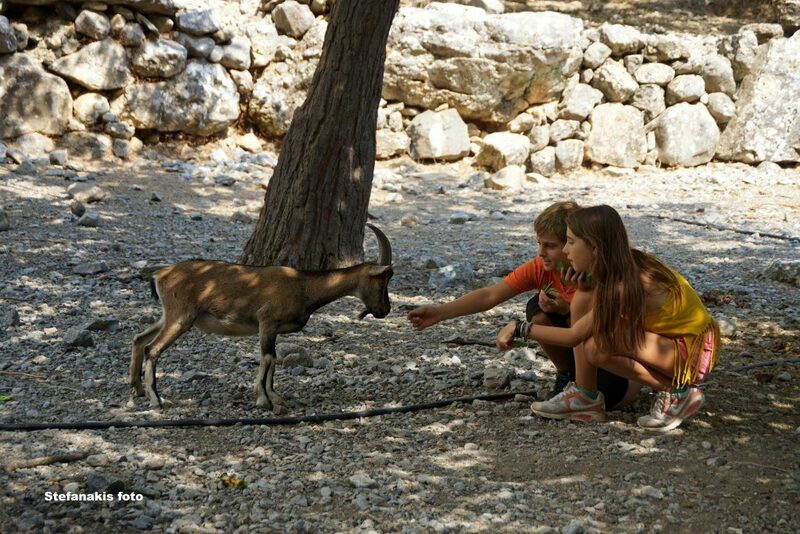 For many visitors, it is the sole purpose of their visit to Crete. 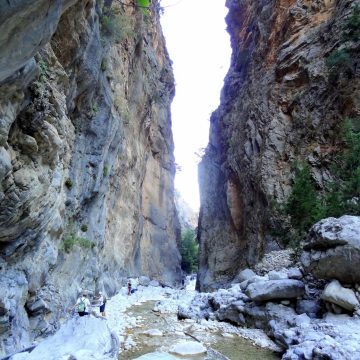 The length of the gorge, which belongs to the European E4 path, reaches 18km and takes almost 4-7 hours to hike from Omalos to Agia Roumeli, depending on trekking speed. 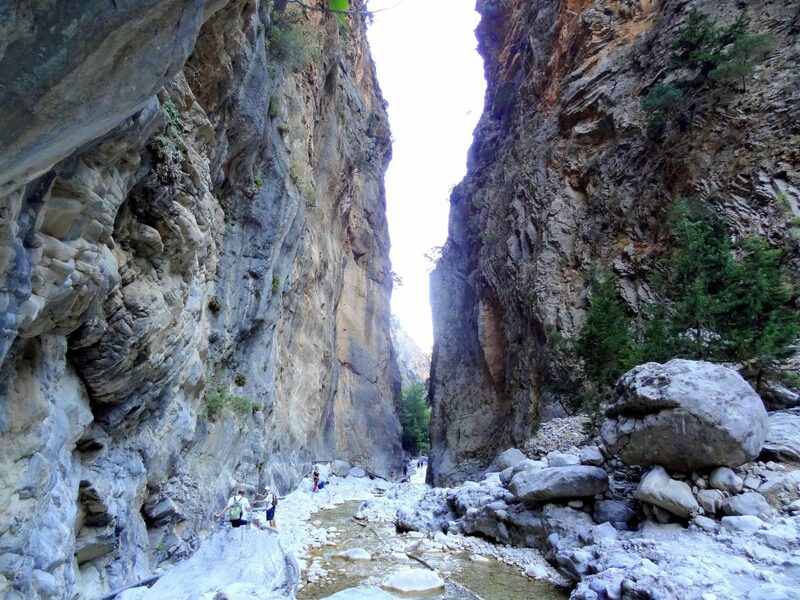 The most famous part of the gorge is the stretch known as the Iron Gates, where the sides of the gorge close in to a width of only four meters and soar up to a height of 500 m. The gorge became a national park in 1962, particularly as a refuge for the rare kri-kri (Cretan wildgoat), which is largely restricted to the park and the island Thodorou just off the shore of Agia Marina. There are several other endemic species in the gorge and surrounding area, as well as many other species of flowers and birds. 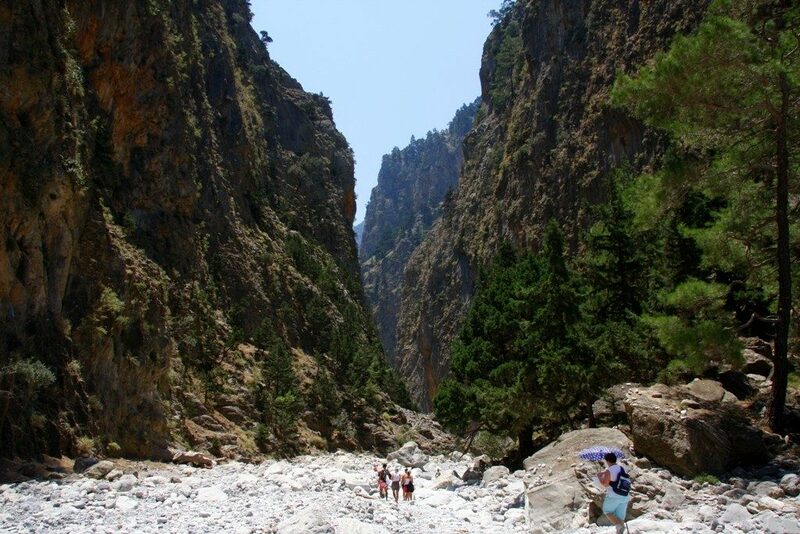 The village of Samaria lies just inside the gorge, in the middle of nowhere. 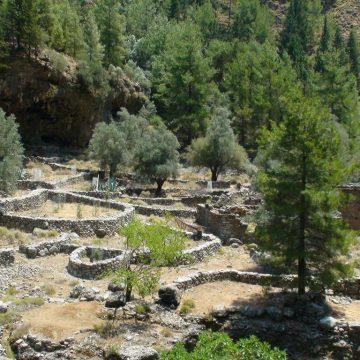 It was finally abandoned by the last remaining inhabitants in 1962 to make way for the park. 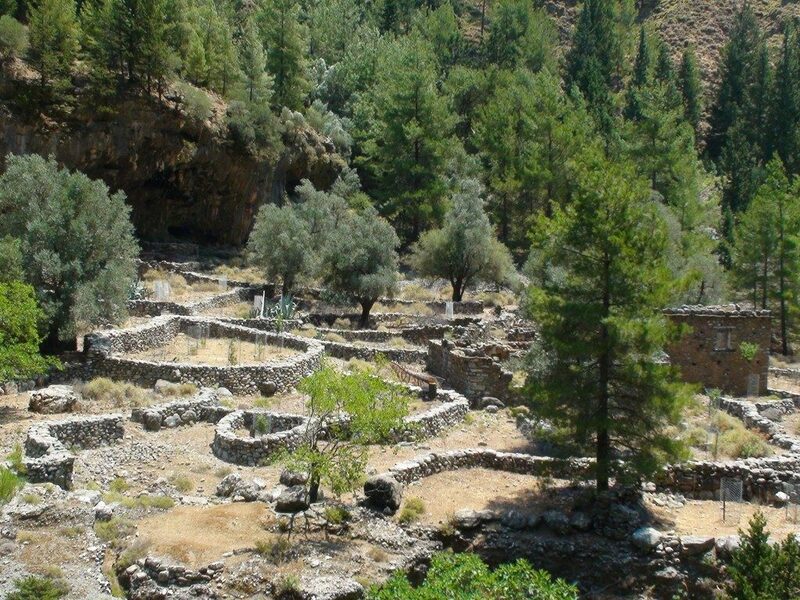 The village and the gorge take their names from the village’s ancient church, Osia Maria (“Saint Mary”). 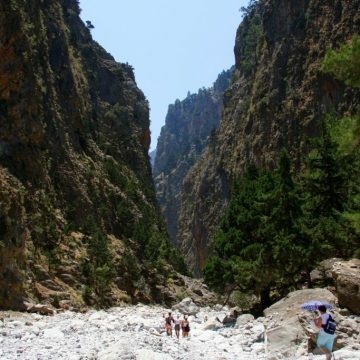 A “must” for visitors to Crete is to complete the walk down the gorge from the Omalos plateau to Agia Roumeli on the Libyan Sea, at which point tourists sail to the nearby village of Hora Sfakion and catch a coach back to Chania. 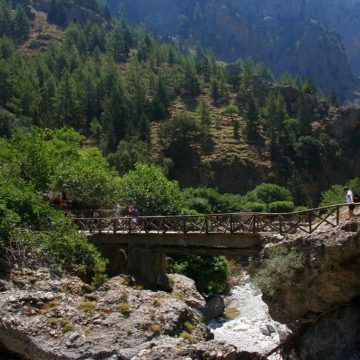 The walk takes 4-7 hours and can be strenuous, especially at the height of summer.